If you are in the Victoria region, talk to Goldfields Screens and Blinds about the Prowler Proof Insect Screens. 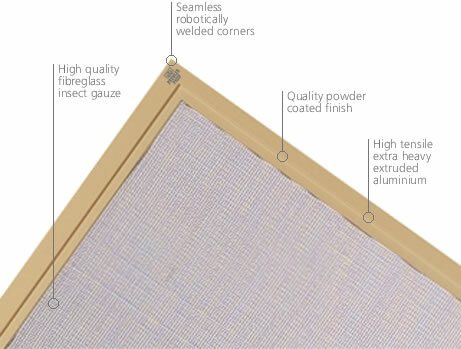 These insect screens are robust and reliable, keeping small intruders out while letting the fresh air in. Dark and dirty flyscreens are a thing of the past, the modern and sleek design teamed with superior strength make the Prowler Proof Insect Screens for windows and doors a great investment for your home. Available for sliding screen doors, hinged screen doors and security screen windows. As the authorised dealer of Prowler Proof products in Victoria, we can help you with insect screens in Maryborough, Bendigo, Ballarat, Kyneton, Ararat, Horsham or anywhere in regional Victoria.